Push button on flash light does not work. Have to hold it down manually. Forced to use the pressure switch. Laser works fine. Easy to install. Otherwise great value. Thanks for sharing your feedback, Michael. We're glad you're satisfied with your purchase. Cheers! Shipping was very fast, but I needed one extra small part to attach. Lights work fine and are bright. Thanks for sharing your feedback, Joe. We're glad you're satisfied with your purchase. Cheers! Thanks for sharing your feedback, Hunter. We're glad you're satisfied with your purchase. Cheers! 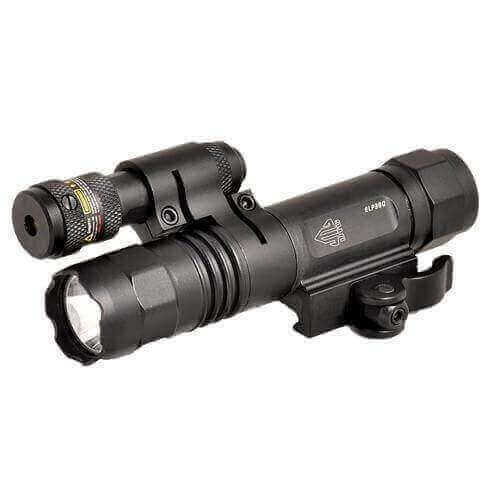 Light/laser overall good product. Only trouble area is the pressure switch. Have to push harder than expected. Also was surprised to find the light flickering randomly one night while rifle was untouched and nothing in contact with pressure switch.